The Probe is in excellent condition. 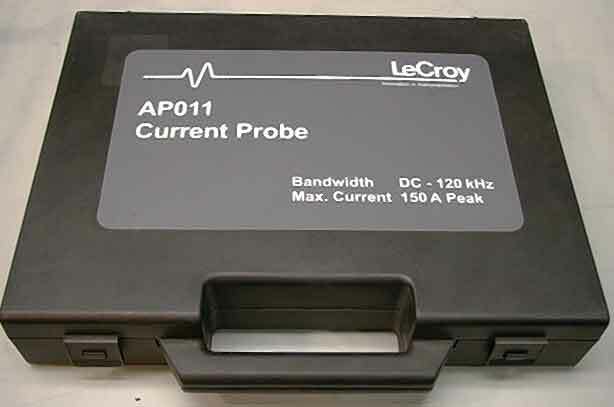 The AP011 allows the oscilloscope to measure current flowing through a conductor. The AP011 is based on a combination of Hall effect and transformer technology which allows measurements to be made on DC, AC and impulse currents. It is rugged in design and uses a split-core transformer to allow the probe head to be clamped around a conductor that remains in circuit. With the ProBus interface, the AP011 probe becomes an integral part of the oscilloscope. The probe is automatically detected with full calibration and control achieved from the on-screen menu system. No external power supplies or amplifiers are required. Full Remote control is possible over GPIB or RS-232-C interfaces. Waveform scaling factors and unit conversions are automatically applied. The existing wide range of oscilloscope software analysis functions and parameter measurements is compatible and handles mixed-unit conversion. ProBus compatibility ensures full integration of the AP011 features into the oscilloscope. The probe is fully operational whenever it is attached to the instrument. There is no need for external amplifiers or power supplies. All controls are menu-driven from the oscilloscope screen, avoiding the need for accessing probe-mounted controls which can be particularly difficult and dangerous in some applications. 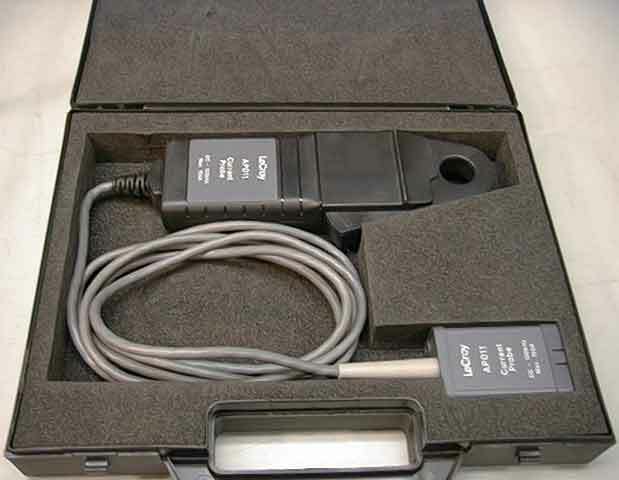 Optimal calibration of the probe is achieved by using the auto-zero feature. This should be done whenever the probe is first connected, subjected to wide temperature variations, re-oriented with respect to the earth's magnetic field, or subjected to overload conditions. The auto-zero operation on the AP011 is performed automatically by pressing the 'AUTO ZERO' menu button in the associated channel menu. Automatic unit conversion and calibration ensure correct interpretation of data and avoid the painstaking task of recording and applying conversion and scaling factors. All waveforms acquired from the AP011 are automatically calibrated and adjusted to be scaled in ampere units. A wide range of functions can be applied to current waveforms. Advanced functions such as FFTs and statistical analysis are available as optional firmware packages. 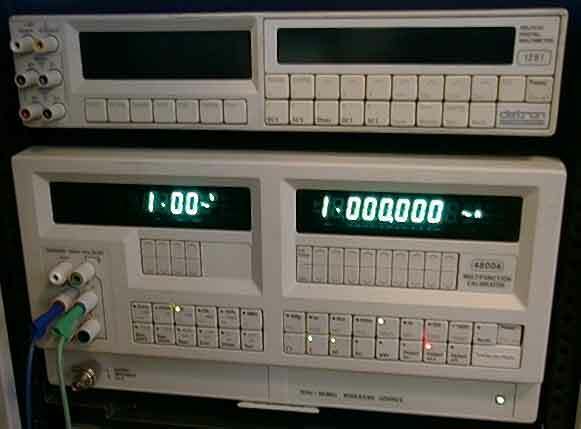 All functions and measurements recognize ampere vertical scales and adjust the resulting waveform or calculation units, including mixed unit conversions. 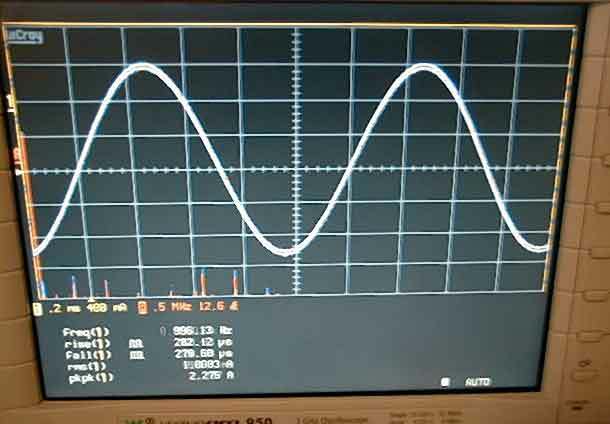 AC Accuracy (@ 25°C): 1% of reading DC to 2 kHz decreasing to 5% @ 120 kHz. * Note: Accuracy is specified for probe operating in fixed orientation with respect to earth's magnetic field following an auto-zero operation. Buyer will pay $20.00 packing and shipping in the continental United States. We will make every effort to ship within 24 hours of receipt of payment. We ship with FedEx only. We will be glad to ship with other carriers using the purchasers shipping account. Please contact us to make any special shipping arrangements. For shipping rate research, our shipping address is Boulder, CO USA ---- Zip Code is 80305.